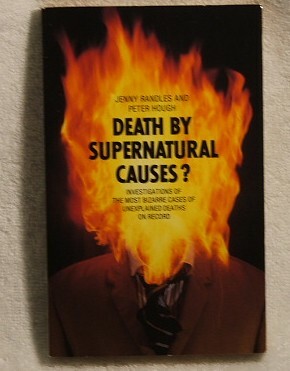 In 1987 Jenny Randles and I published our first book together: Death By Supernatural Causes? In it, we discused the case of missing airman, Frederich Valentich, who disappeared while apparently being hounded by a UFO on the 21 October 1978. Now this case has come back to haunt us with the recent release of Government files in Australia. Information they contain casts new light on the mystery. The 315 pages of documents, released under the Freedom of Information Act, contain official interviews with the father, friends and superiors of the doomed pilot, as well as a clue to what didn’t happen. Valentich was twenty when he took off in his Cessna 182L from Moorabbin Airport near Melbourne at 6.19pm on the twenty-first of October, 1978. He was flying to King Island, he said, to pick up crayfish and three passengers. At 7.06pm he contacted Steve Robey, air traffic controller at Melbourne, and asked him if there was any known traffic nearby, as he had sighted a large ‘aircraft’. Robey said there was nothing, and asked him to describe it. He said it had four bright lights on it, and had passed overhead. Valentich went on to describe how it played cat and mouse with him, appearing and disappearing at speeds he ‘couldn’t identify’. The pilot then said ‘it’s not an aircraft... as its flying past, it’s a long shape’. In response to Robey, the young man went on to say: ‘It seems like its stationary. What I’m doing right now is orbiting, and the thing is just orbiting on top of me. Also it’s got a green light and sort of metallic... it’s all shiny on the outside’. What followed were twelve seconds of a metallic scraping noise and then communication was lost. An intense air and sea rescue ensued, but despite calm conditions, neither wreckage nor a body was found. It was suggested that the pilot had become disorientated in the dark and misidentified the lights from a lighthouse on Cape Otway, or that he had been fooled by a bright star or planet in the clear sky, although none of that matched what he had described. Frederick Valentich and his aircraft had disappeared into thin air. The files illustrate that all who knew the young man had good words for him. 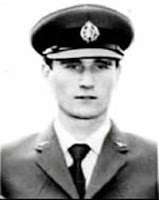 Robert Barnes, an Airforce Reservist, who tutored Valentich for some of his flying exams, said he had a responsible attitude towards flying, he was always friendly and showed respect, and rarely criticised anyone, and was a real ‘battler’ when it came to exams. His friend Gregory Reaburn said Valentich was very strict with alcohol and didn’t take drugs. In fact Reaburn suggested that Valentich would report anyone on illegal substances to the police. He said the young man was not prone to hasty decisions or panic, and while he believed in UFOs, he wasn’t fanatical about it. Valentich had never been in trouble with the police, and had no financial problems. Guido Valentich, the pilot’s father, said that his son always did his share of chores around the house. But the files revealed that there was another side to Frederick Valentich. Despite his enthusm and hard work, academically he was a disappointment. After failing to get into the RAAF, he decided to study to gain his Commercial Pilot Licence. He passed three preliminary exams - but then failed a further eight. Yet he told his friends and tutors he had passed, although he did admit to his girl friend, Rhonda Rushton, that he had lied. Was this because he was ashamed and embarrassed, or was it a character trait that might, for instance, encourage him to make up a close encounter with a UFO? He had also been in trouble with the authorities for straying into controlled air space, and twice deliberately flying into cloud. Prosecution was being considered for this latter misdemeanour. There were things about the trip which didn’t add up too. He hadn’t arranged for the airfield on King Island to switch on their landing lights. Squadron Leader Grandy had asked him to bring back some crayfish – but Valentich had not ordered any. He took four lifejackets for the passengers he was supposedly picking up, but there were no passengers waiting for him on King Island. Valentich told his girlfriend he would meet her at 7.30pm, when he wouldn’t be back from the trip until much later. Rhonda saw him on the Friday night, and said he ‘wasn’t himself’. He had also told her previously, that if a UFO landed he would go aboard – although not without her. His interest in UFOs, coupled with all the other discrepancies led people to consider that he had either committed suicide or had chosen to disappear by landing the aircraft elsewhere. It had a full tank of fuel which would carry him as far as Tasmania. The apparent close encounter with a UFO added drama, and ensured he went out with a bang. Rhonda had described how on one flight with her boyfriend, the control column had jammed, and he had sweated profusely as he struggled to land, the stress manifesting in his voice. This has been contrasted with the apparent calmness of Valentich while describing the UFO. Surely if it was real, he would have been showing some emotion? The audio tape has never been aired publicly, but Steve Robey, the Air Traffic Controller that night is adamant that in his view, Valentich did become agitated, and that he sounded genuine, not making something up. If it was a tragic accident due to disorientation, or suicide, where was the wreckage that everyone expected to find floating on the calm sea? Where was the body? If he had landed the aircraft elsewhere – how had he kept it hidden? If it had crashed on land, why had anyone not found it in the intervening three decades or more? 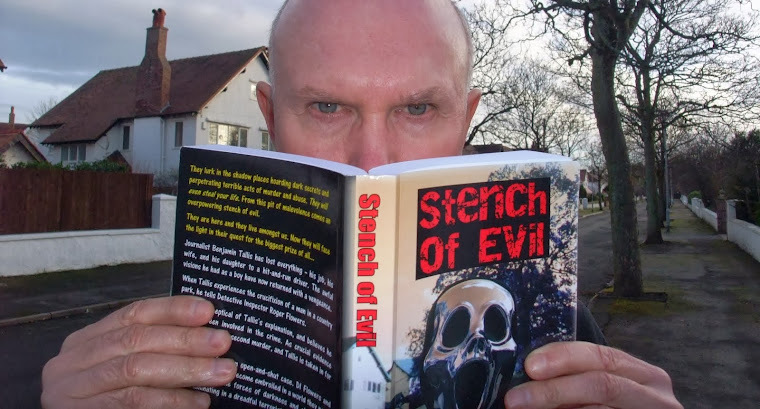 And what was Frederick Valentich’s motive? He was scared of water – surely he could have found a better way of killing himself? He had a loving family, friends, and a girlfriend he had a good relationship with. His flying career wasn’t working out – but is that a motive for suicide? For the first time the released files provide proof that whatever did happen to Valentich, he didn’t abscond. Nearly five years after the disappearance, an engine cowl flap was washed up from a Cessna of the type Valentich was flying. More than this, it had a partial set of serial numbers on it that were within the range of the missing aircraft. No other similar aircraft had gone missing in the region, so it is safe to assume it is from the Cessna. I enjoyed the post. There is much to be reflected upon in the release of this file. There are still papers on it, dated outside the range of the Archives Act. I have applied for these papers under the Australian FOI. There is also a second file, now digitised in the National Archives of Australia (go to their website, search and type in VH-DSJ. )This is the search and rescue file which adds to the information on the aircraft accident file. It's one of these 'either or' cases, where you can select the facts that 'prove' your theory. The suicide theory seems probable, but on the facts we're given, apart from his interest in UFOs, and failing his flying exams, they're isn't really any pointers to a disturbed mind. I think too much is made of the crayfish 'lie', as he may have believed he could get them without pre-ordering - why not? Did he really think he was picking up passengers - or did he just hope there might be someone who wanted a hitch back? 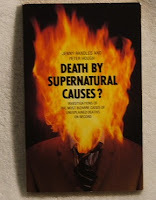 I also want to echo Peter's congratulations over this highly impressive release. Would that the thousands of MoD files pouring out thanks to Dave Clarke's efforts were a tenth as thorough or illuminating. Though they do have some interesting tales to tell if you can read between the lines and behind the redactions. As for the Valentich case, I guess we will never know the truth now - barring something very unexpected coming to light. And I wonder how Richard Haines' ideas about the link with Pine Gap now fare? Possibly as well as my early thoughts on Rendlesham Forest vis a vis Orford Ness and its Over the Horizon radar research programme. I think it's obvious. Suicide. I feel for the guy. He didn't want anyone to think he killed himself and this method immortalised him as an aviator. As an academically qualified investigator I can assure you it was suicide. Sad but true. I was wondering why the actual recording hasn't been released, any idea? Michael - I'm not sure, and someone might correct me, but I believe the family were given a copy of the recording - and they didn't want it released to the public.